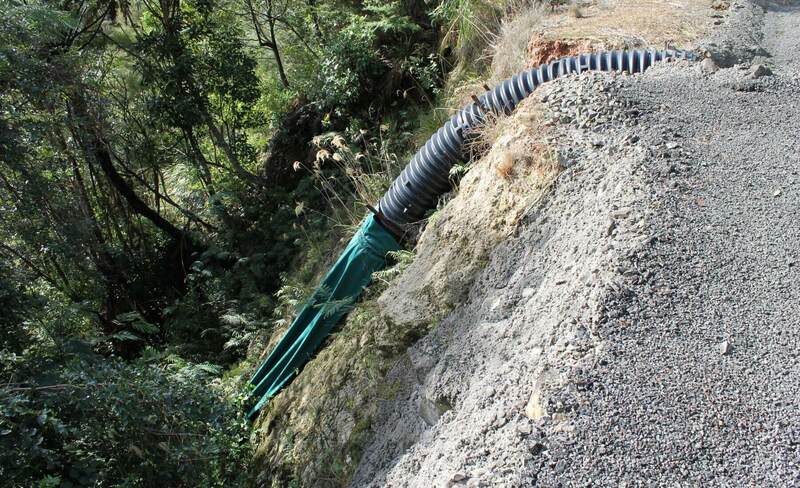 AQUADUCT IS A CULVERT FLUME THAT IS USED CONTROL WATER AND PREVENT EROSION AROUND CULVERT OUTFLOWS. AquaDuct is an innovative low cost solution to remove water away from the end of culverts and to prevent erosion around and under culverts. 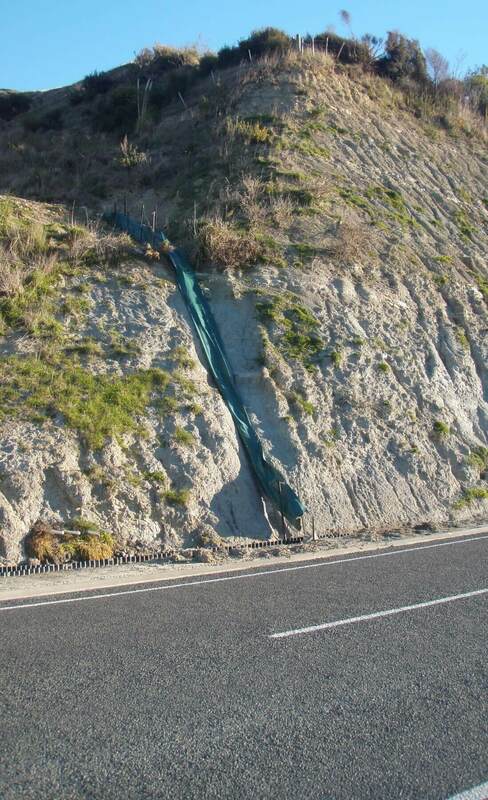 AquaDuct can be installed in long lengths where access makes it difficult to channel water in a controlled way to the base of steep slopes. 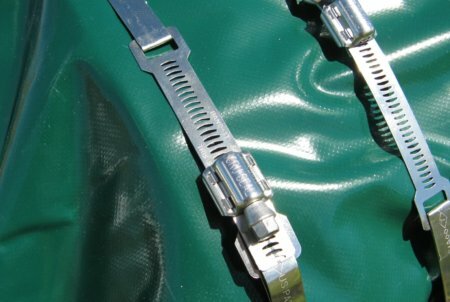 AquaDuct is available in a single and double cleat. The double cleat adds strength and secures the product on both sides of the flume. 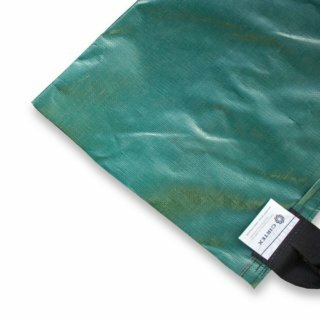 This is recommended for longer or larger diameter flumes. 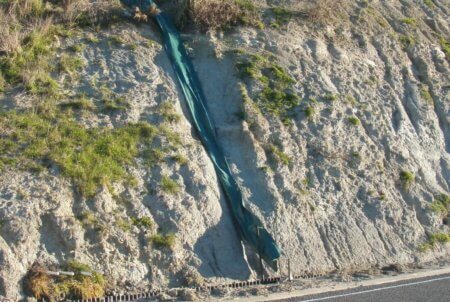 AquaDuct has a unique double reinforced zone at the top to reduce tearing from pipe abrasion. 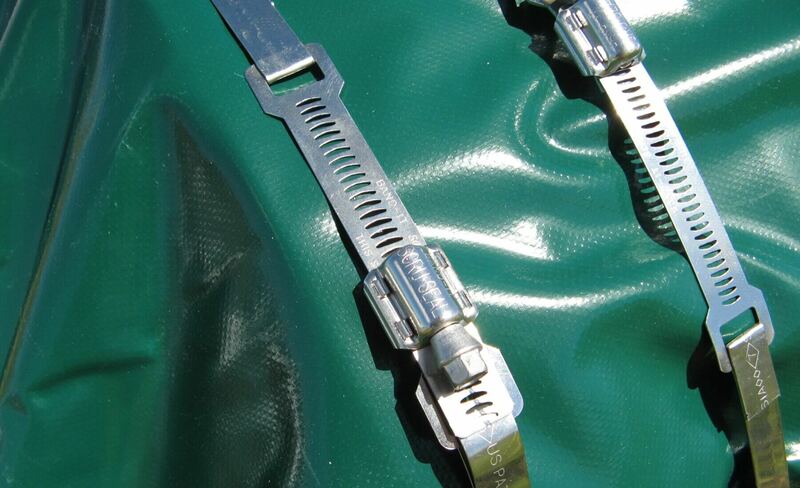 Stainless steel straps are also available for clamping to the pipe. 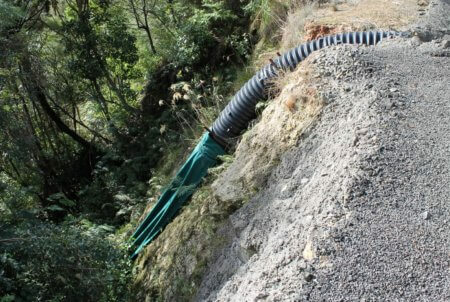 AquaDuct is a culvert flume/sock to prevent erosion around culverts, by directing discharge to the desired outlet. 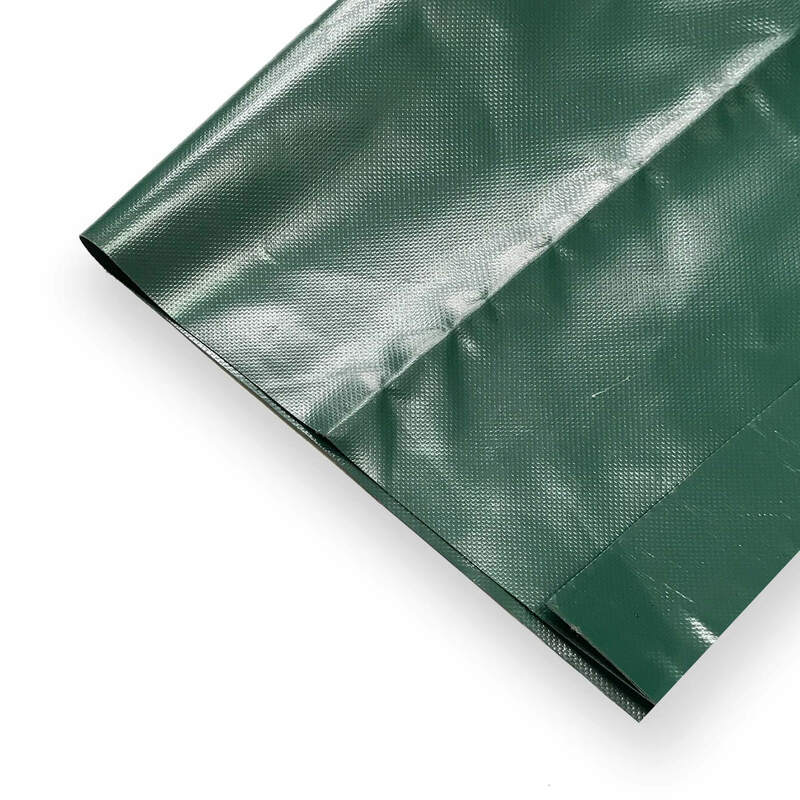 AquaDuct is made from 600gsm PVC coated fabric. 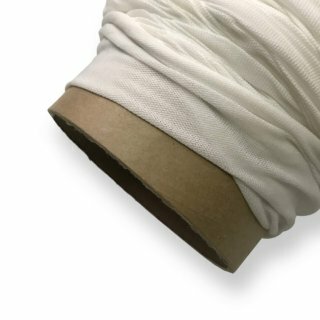 What are the sizes and options available? Available to fit 100-900mm concrete, plastic or steel pipe. Length is custom made to order. Single or double cleat options available. Stainless steel straps also available. How is the best way to secure AquaDuct? 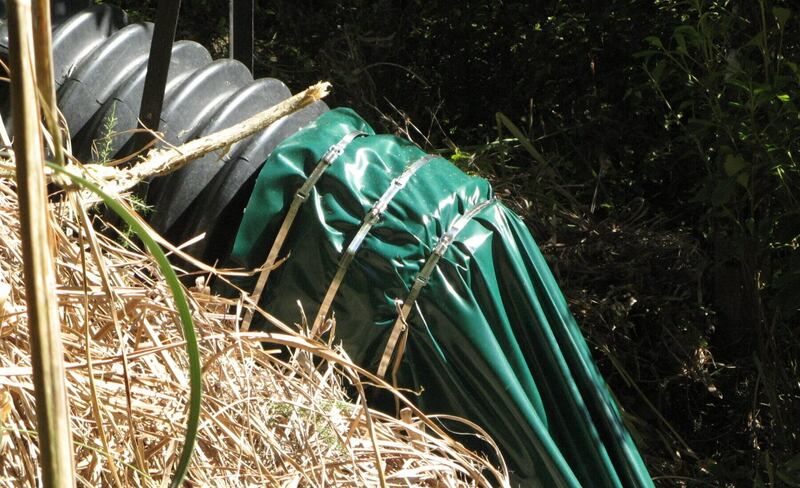 AquaDuct does not come with pins for pinning down, but we recommend either 230mm Ground Staples or Steel Y Posts.